Progressive Charlestown: RECIPE: How’s this for locally sourced? Rhode Island is well known for its great striped bass fishing all along the coast and even in some brackish rivers. 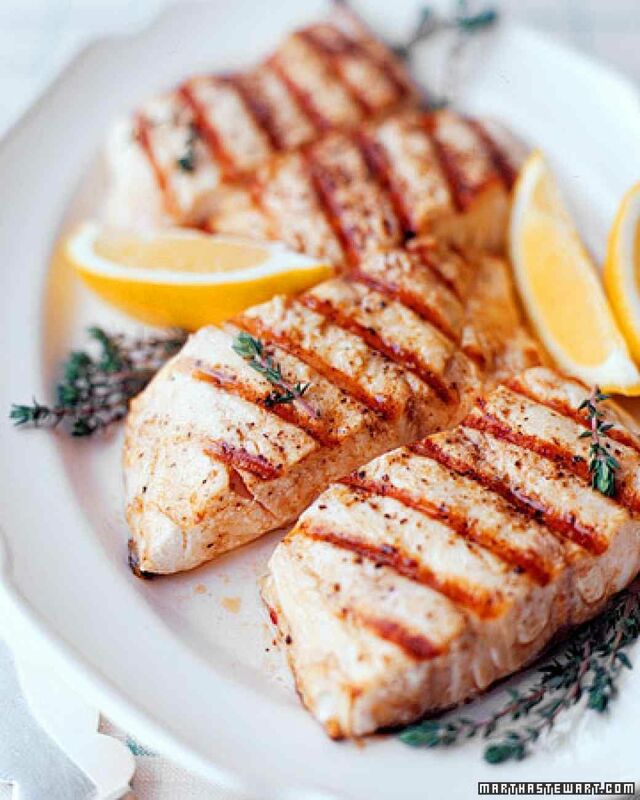 Try out this delicious striped bass recipe this summer. Rhode Island saltwater fishing licenses are only $7.00 for residents, $10.00 for Non-residents, or just grab a 7-Day license for only $5.00 while on vacation. You can get saltwater licenses at www.saltwater.ri.gov, or at certain bait and tackle shops. For more information email DEM.MarineFisheries@dem.ri.gov or call 401-423-1923. Directions: Put fish In a large shallow bowl, coat with oil, lemon and lime juice. Add your spice mixture of garlic, steak seasoning, sweet basil, oregano, salt, black pepper and lemon pepper. Cover with tin foil or plastic wrap and let stand 30 minutes. Heat grill (medium heat, 400°) and once ready, put skin side down on grill. Grill until skin is lightly browned and has starting to crisp. Carefully turn fillets and cook until well-browned and cooked through, center will be opaque. Garnish with both lemon and lime wedges. Lemon zest optional.